On Monday, I wrote Part One of my Gentle Shampoo Series, and without further ado, here is Part Two! 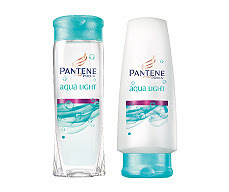 I'll admit that when I came across the Pantene Aqua Light range, I wasn't really looking for it because I hadn't long ago bought Simple's Gentle Shampoo. However, the words "aqua light" and "virtually no weight" just slapped me in the face and I was a sucker for the hard sell! Where to Purchase: Unlike Simple, Pantene can be found practically anywhere that sells shampoo, so Boots, Superdrug, Savers, all the major supermarkets. Pricing: I bought the Shampoo and Conditioner together from Boots, where they are still (I checked this morning) being sold two bottles for the price of one, at £3.99. Now, this sounds like a good offer. But, I skipped over to Superdrug today, and discovered that they are selling them at £1.75 each, although admittedly, I'm not sure how big the bottles were in Superdrug, but I do know the ones in Boots were 500ml. "Unlike other shampoos and conditioners, Aqua Light products contain highly water-soluble beads that clean hair gently and rinse away fast. The lightweight formulation nourishes without weighing it down. Conventional conditioners mostly feature tightly packed inner structures that appear creamy and dense and eventually drag hair down. Aqua Light's loose, fluid composition delivers just the right amount of nourishment before rinsing away and leaving you with gorgeous, swishable hair." Personally, this didn't feel much like real science to me, so I was still a little dubious! But,at least the shampoo does actually look like water!! Using: The Pantene shampoo was very similar to Simple's Gentle Shampoo,in the sense that it was genuinely light to the touch and in my hair.When applied to my hair, it was so light it was a little weird, and when I washed it out, the shampoo had practically all washed away as soon as the water touched it. 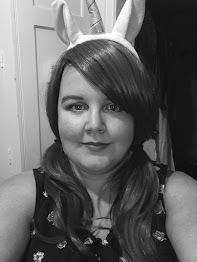 My hair is getting quite long at the minute, which usually results in my hair getting really tangled up, meaning that I need to use more conditioner, however, after shampooing, it was virtually (although not completely) free of knots. However, I did use the conditioner, and unlike other Pantene conditioners that are thick and difficult to wash out, this was so light and again washed out almost instantly. It's almost as if the product dissolves when mixed with water. Incredible. Afterwards: Typically, when my hair is this long,getting a comb through it after washing it is a complete "haha, as if", and I have to spray my hair with heat protection spray to get the tangles out (genuinely this typically works!). However,with the Aqua Light shampoo, I got the comb through my hair with only a few hassles from knots, which is such a big deal for me, because I usually spend a good five minutes "hacking" at my poo hair to get the knots out, which is really not good for my already weak hair. After the first wash, my hair felt nicer, but it wasn't until about four or five washes that I could tell that my hair looked "fluffier" on top, I'm assuming because nothing was weighing the strands down, and after a week of using them, I honestly believe that my hair is looking so much healthier, than I think I've seen it in years. I can not believe how amazing this shampoo is. I've never been able to find a shampoo that didn't wrigh my hair down, made it look healthy (rather than dull), and got rid of tangles, so I am so pleased with this product. I just wish Pantene had realised that weightless was the future a very long time ago! I still like Simple's shampoo, but Pantene beats it hands down without a helmet on! Perfect for: Anyone with fine hair, that hates being weighed down by unnecessarily heavy hair products.